The current site of Kaunas City and the old town at the confluence of the Nemunas and Neris rivers has long had inhabitants. One of the main first settlements that grew up to become the present day Kaunas old town, was first mentioned by the chroniclers in 1361. Toward the end of the 14th century, in order to defend Kaunas from Crusader’s attacks, a brick castle was built and installed itself as an integral part of the town’s defence. In 1408, Vytautas the Great granted the Magderburg rights to the town and after this Kaunas began to grow at a fairly rapid pace, especially its importance as a centre and main port for trade with Western Europe. In 1441, with the signing of the Hansa agreement, the merchants of Hansa town opened an office in Kaunas, which remained active until 1532. By the end of the 16th century, the town of Kaunas had its first school, public hospital, and chemist shop and was fast becoming one of the most developed towns in the Kingdom of Lithuania. However, by the 17th and 18th centuries, Kaunas was to travel through a long period of hardship and hostility. The reasons were due to several major historical events not least of all attacks by the Russian army in 1655; the Swedish march to Russia in 1701 – during which the Lithuanian land was devastated; a plague in 1657 and 1708; and colossal fires in 1731 and 1732. At the end of the 18th century, the fortunes of Kaunas revived a little but only until 1812 the year that saw Napoleon’s army cross the Nemunas River in Kaunas on their path to Russia. Heading towards the end of the 19th century, Kaunas experienced several major developments that helped it back onto a path of prosperity and growth; developments such as the opening of the Oginsky canal connecting the Nemunas and Dnieper rivers; the railway connecting the Russian Empire and Germany was built in 1862; the opening of the first power plant in 1898. 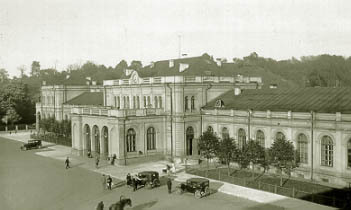 The First World War stemmed the further development of Kaunas mainly because of the occupation, which meant Kaunas lost its independence until 1919. With Vilnius occupied by Russia in the same year, the State Council and Cabinet of Ministers moved and established themselves in Kaunas. The following year, with Poland occupying Vilnius, Kaunas became the capital and the most important city of Lithuania. 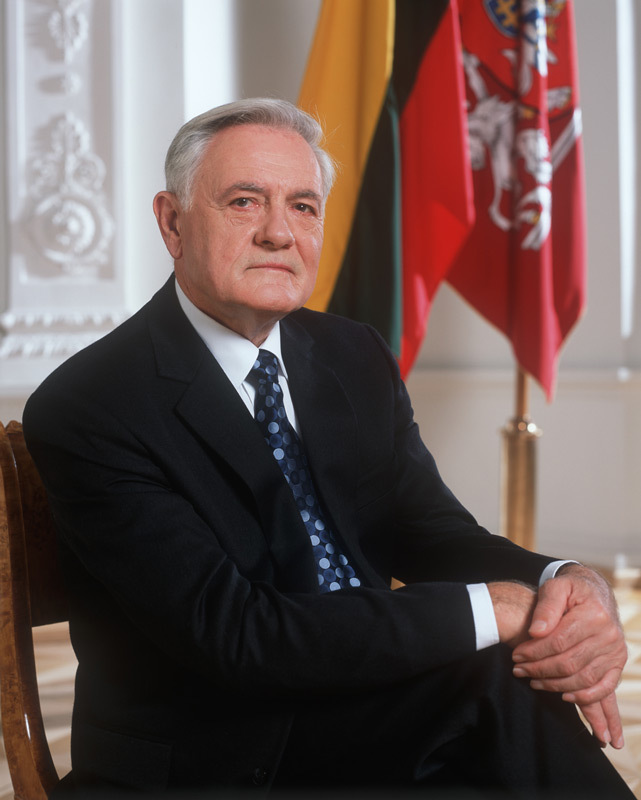 In the same year the national parliament (Seimas) gathered in Kaunas and laid the basis for the country’s legal system. Over the next few year Kaunas once again experienced rapid economic and industrial growth and a significant increase in population. 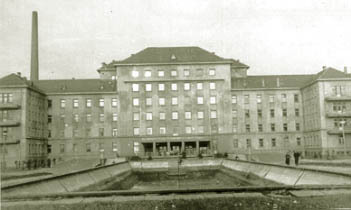 In 1924 the first buses appeared in Kaunas, and in 1928 plumbing was installed in most of the city’s buildings. The city, devastated by the Second World War, also suffered further over the next forty years of soviet occupation as many buildings and signs of Lithuanian independence were demolished or removed. One of the first public protests against the Soviet rule was in 1972, when Romas Kalanta set himself on fire in the square in front of the Musical Theatre of Kaunas. In 1988, upon the rising of the liberation movement, many city sights were revived: streets and museum names were returned, and many monuments of independence times were restored. When the Soviet army attempted to encroach upon the newly independent Lithuania in 1991, the residents of Kaunas kept watch at the Sitkūnai radio and television transmitter, and like the rest of Lithuania’s people, they were more than willing to give their lives for the freedom of Lithuania. Since independence, Kaunas has certainly made the most of the opportunities available through closer links to western countries and companies. With Lithuania having one of the fastest economic growth rates of the new EU member states, Kaunas has most certainly been one of the powerhouses of industry that has helped produce such an impressive economic climate in the country today. Kaunas has come a long way and it shows no signs of slowing down! Pictures from Vytautas Magnus Military Museum.